The Skoda Rapid Spaceback is the brand's first true hatchback - according to Skoda. 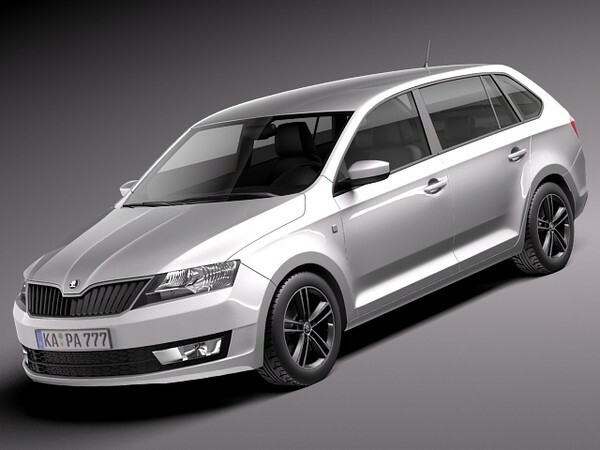 This will be a surprise to Fabia and Octavia owners, but what Skoda means is that this is its first direct rival to the Ford Focus and Vauxhall Astra – the kind of small family car that UK buyers love. But there’s plenty of competition here, so should you go for the Skoda? The stylish body makes a good first impression, although you’ll be disappointed when you fire up the 1.6 diesel fitted to our car. The engine’s rumble is intrusive, especially in traffic, and when you’re accelerating it sounds rough. At motorway speeds, the engine drone is replaced by wind noise. On the plus side, the 10.3-second 0-62mph time is all you’ll need from a car like this. The stiff ride of the standard Rapid has been addressed, with a bit more cushioning over rough roads, but it still crashes a little in larger potholes. The light steering makes the car easy to manoeuvre. We’d just appreciate more weight at high speeds – at the moment, it’s light enough to be disconcerting. All this means the Spaceback trails rivals like the Focus and Mazda 3 for driving fun. However, what it does have on its side over other Skodas is good looks. This is the most attractive model in the company’s range. The sleek rear end improves on the awkward standard Rapid, while the optional panoramic roof and extended tailgate glass are also neat additions. The boot offers more space than any rival, at 415 litres (the Focus manages 316 litres). Plus, there are clever options like a double-sided boot floor, which is carpet on one side and wipe-clean rubber on the other. Yet with starting prices almost £2,000 above the standard – and more spacious – Rapid, this is clearly a Skoda for those prioritising style. It does represent good value, though, with the Kia Cee’d 1.6 CRDi 2 costing a few hundred pounds more, at £18,295.